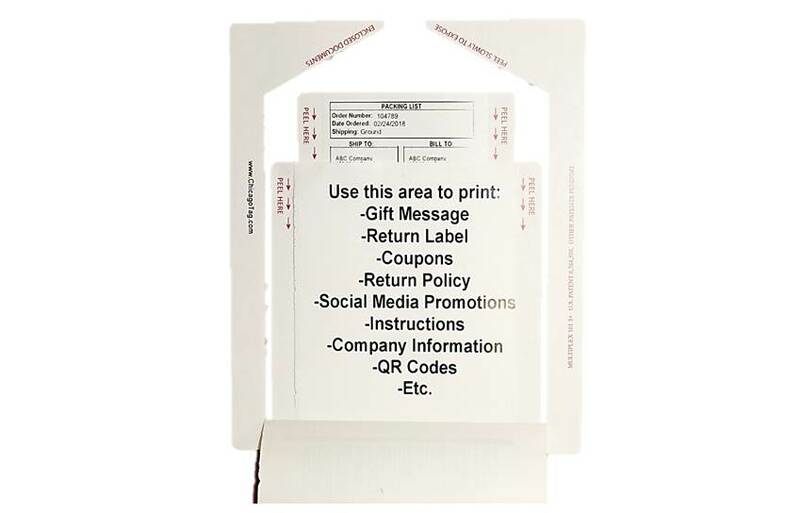 With Chicago Tag & Label's patented Print & Apply Enclosed Packing List products, you print and apply a combined shipping label and enclosed packing list through one label applicator with a small footprint. The enclosed packing list is made from either direct thermal or thermal transfer materials. It replaces manual packing list handling when configured for a conveyor line or automatic tabletop system. Standard sizes or custom label configurations are available. When you want a highly accurate and reliable alignment of a shipping label and concealed packing list, come to Chicago Tag & Label. These products are designed for auto-application to the outside of a box. 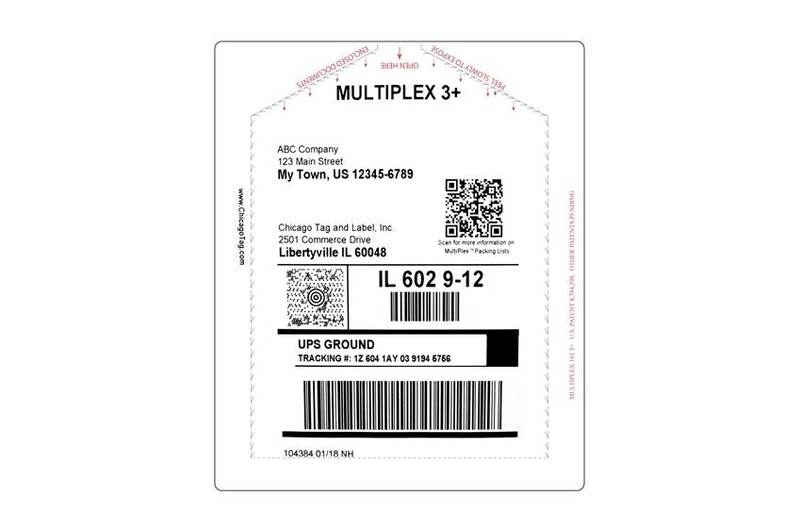 The MultiPlex™ Packing List is designed to be used with the Arca LinerPlus Print & Apply Label Applicator and a Zebra print engine with a 4½" print head. These products can be applied to the top or side of a carton. Arm reach options from 12" to 48" are available and can be customized for labeling various-sized cartons. Approximately 20 labels can be printed per minute (1,200 per hour) for the MultiPlex™ 2+ product and 15 per minute (900 per hour) for the MultiPlex™ 3+ product. 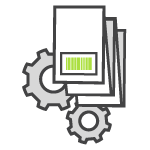 Each Fold Under is printed on one continuous label - there is no need to match up a packing list and shipping label. With the MultiPlex™ Fold Under, the packing list and shipping label are variable-printed onto one label document and then the packing list is simply folded under the shipping label and applied to the carton via our Fold Under Label Applicator Machine.